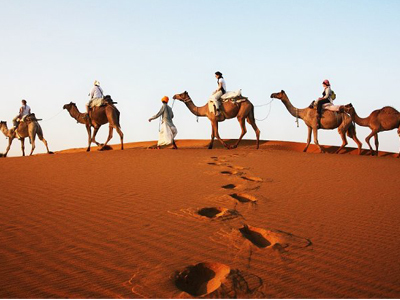 This 15-day long journey takes you to a number of essential and offbeat destinations of Rajasthan. 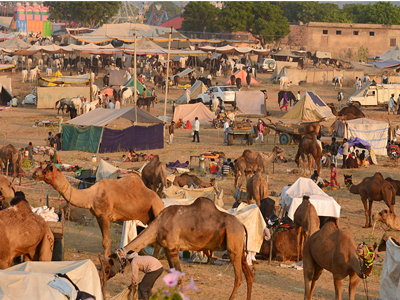 Starting from New Delhi, the capital of India, you\'ll visit Dungarpur, Udaipur, Ghanerao, Narlai, Sodawas, Rohet, Jodhpur, Jaipur and Agra visiting a myriad of tourist attractions, witnessing tribal life of Bheels and village life of Rajasthan. Of course, the splendid Taj Mahal will complete the experience of an off-the-beaten path journey. Arrive at Delhi airport. You'll be welcomed and escorted by our representative to your hotel. Have a sumptuous dinner and stray overnight at Delhi hotel. Early morning transfer to Udaipur, embark on a city tour of Udaipur. Visit some of the major tourist hotspots covering the City Palace Museum, Sahelion Ki Bari, Bhartiya Lok Kala Mandal, Folk Art Museum and Jagdish Temple. In the afternoon pay a visit to the Monsoon Palace situated on the hill that enhances the beauty of this magnificent city. Post lunch transfer to Dungarpur around 120 kilometers away. Upon arrival, check into the hotel. Fondly known as 'City of Hills', Dungarpur was founded in the 13th century and shot to fame during the reign of Guhilot Ahara Suryavanshi Rajputs. 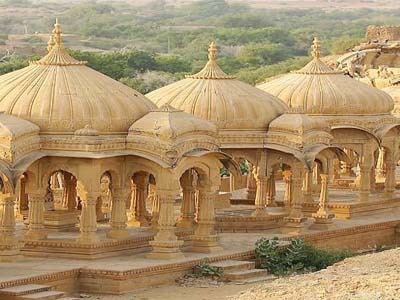 It is a scenic town set amidst rugged Aravali mountain peak. 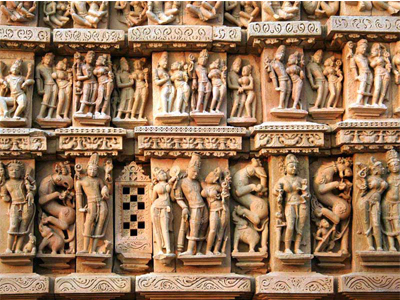 In the afternoon, go out for a sightseeing tour of Dungarpur. Here you will visit the ruins of the Old Fort housed with ancient paintings and murals and enjoy a boat cruise on the Lake. Stay overnight in the hotel. 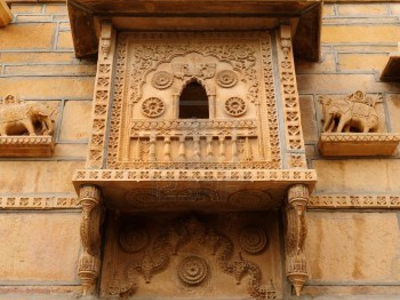 On arrival in Ahmedabad, you'll be escorted to Dungarpur. 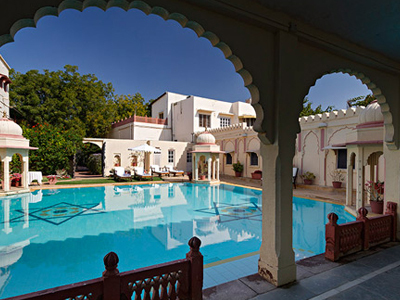 On arriving, check into Udai Bilas Palace, the heritage hotel at Dungarpur. 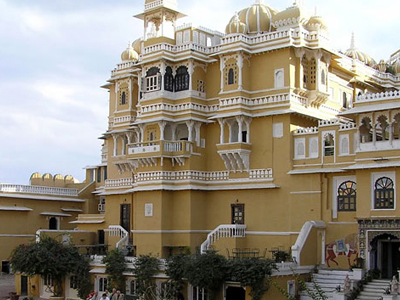 The Palace is a specimen of typical architecture with ornate murals, balconies, bracketed windows and marble carvings. Feel like a royalty staying at this exquisite place. Savor the delectable zesty dishes whipped up by the royal chefs in the opulent dining hall lit with huge chandeliers. Night stay is at the Palace. 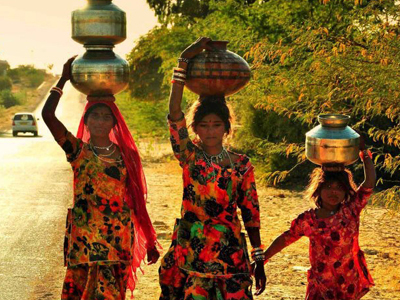 Today, you'll visit the district of Dungarpur and see hamlets of India's one of the oldest tribes - the Bheels. 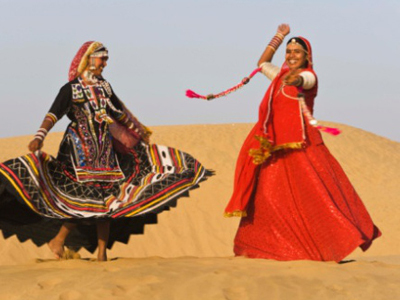 Bheels are believed to inhabit Aravali ranges since 4000 BC. 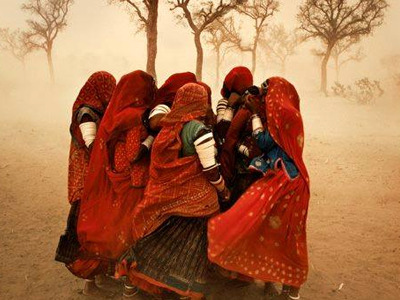 Meet the tribal people up close and study their lifestyle. Later, you'll explore the Udai Bilas Palace. The Palace is a round-the-year heaven for ornithologists. A legion of rare bird species such as Night and Pond Herons, Egrets, White-Necked Storks, Grey Hornbill, Golden Backed Woodpecker, Green Pigeon, Winter Ducks and Coots to name a few, are seen around the palace. You may then proceed to stroll around the lake or hire a boat to cruise beyond the shores. In the evening, visit the ruins of Old Fort which still holds some ancient paintings and showcases the architectural finesses of the yore. Night stay is scheduled at the Palace. After breakfast, you'll be driven to Udaipur. The City of Sunrise - Udaipur is deemed world's best city by Travel + Leisure magazine. Established in 1567 by Maharana Udai Singh, the beautiful city boasts of pristine lake, magnificent palaces, fountain pavilions and languid gardens. On arrival in Udaipur, check into your hotel. Afternoon, proceed for sightseeing the city. 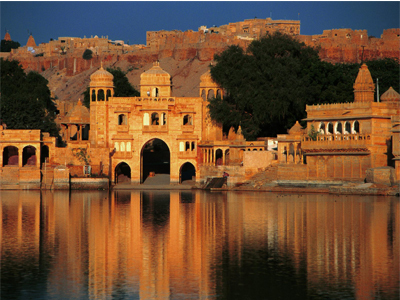 You'll be escorted to visit the City Palace, a towering citadel over the shadow of Lake Pichola. 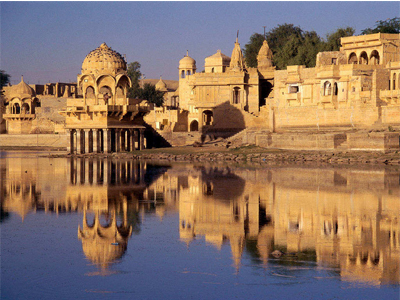 The palace is a conglomeration of buildings constructed by successive Rajput rulers. You'll also visit Jagdish Temple that enshrines black stone carving of lord Shiva and his mighty carrier Garuda. The night stay is scheduled at Udaipur. Today following breakfast, proceed to feudal hamlet of Kumbhalgarh. You'll find people very friendly and hospitable. Continue on to Ghanerao. Ghanerao was established in the early seventeenth century. The castle is strewn with royal havelis, marble citadels, murals, archways and old paintings on walls that will transport you into the yesteryears. On arrival check into Royal Ghanerao Castle. The castle is a property of royal family of Mewar. Recapture the romance of the past. With all the modern amenities, the castle recreates the lifestyle of feudal lords of the past. Post lunch, you'll be escorted for sightseeing of the town. Stay overnight at the castle. Following breakfast, you'll hit the road to Narlai stopping en route several times for capturing scenes and walks through the countryside. Upon arriving, check into Rawla Narlai. This is seventeenth century citadel renovated over the years with 15 royal suites. 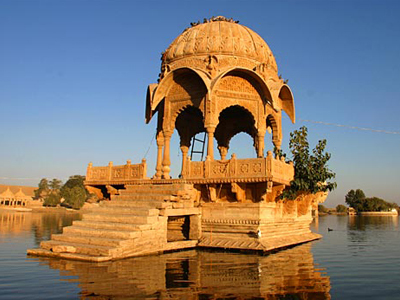 Situated in the heart of typical Rajasthan, the fortress is full of mystery and surprises. Explore the fortress at leisure and have sumptuous lunch prepared by royal chef. Afternoon, you'll be taken on a stroll through the town stopping in bustling markets for rich handicrafts. Overnight stay at the Rawla Narlai. Following breakfast, you'll be driven to Sodawas, a seventeenth century village. On arrival, check into Sodawas Kot perched on a hilltop. 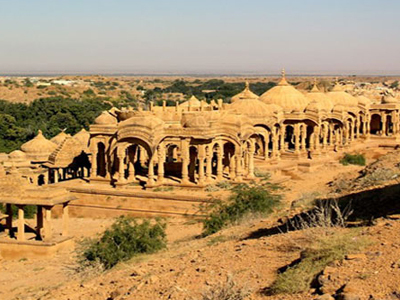 This magnificent village was given as a fief to Thakur Bishan Singh by Maharaja Umaid Singh of Jodhpur in 1943. You'll be taken on an escorted sightseeing stroll the village visiting a local school, bustling bazaar and a village temple. Besides the modern amenities, the Kot exudes the royal aura if the past. 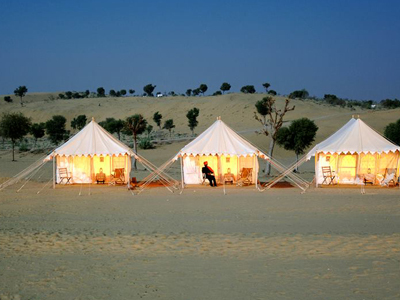 Join the royal family on dinner and have an opportunity to discuss Rajasthani culture, traditions and the rich heritage. Night stay: at Sodawas Kot. 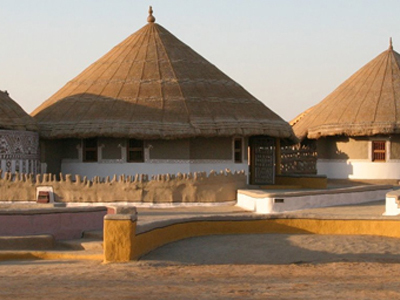 Today, after breakfast, you'll be driven to Rohet, a sixteenth century Rajput village. On arrival, check into Rohetgarh fort. 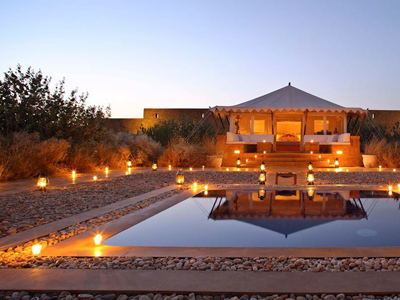 The Rohetgarh fort is an impressive bastion where you'll be treated like a royalty. Relive the romance of the bygone era at this fascinating fort where the members of Royal family still live and add to the charm of this beautiful village and the fort. Set out to explore Rohet in the afternoon. 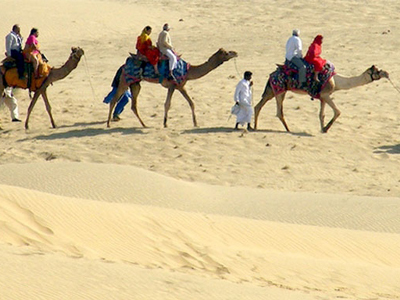 Later enjoy a jeep safari to visit the inner hinterland of Rajasthan. Witness the whitewashed houses and smoothened mud huts and simple lifestyle of the people here. Retire back to the fort to stay overnight. After breakfast, set out on a 40-km drive to Jodhpur. On arrival, check into Ajit Bhawan Palace. 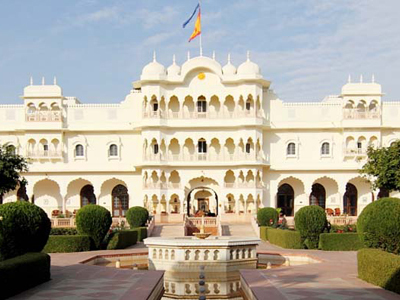 The Palace is a heritage site founded by Maharaja Ajit Singh sitting in the serene desert. Ajit Bhawan epitomizes grandeur and typical image of Rajputs hospitality. 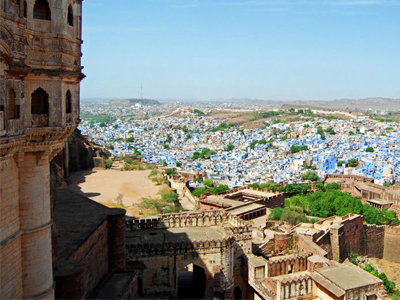 Post lunch, explore the city of Jodhpur. You'll visit the royal palaces, Jaswant Thada (the royal crematorium), and the Clock Tower Bazaar. Spend the night at Ajit Bhawan Palace. Drive to Jaipur brief stopover at Pushkar. 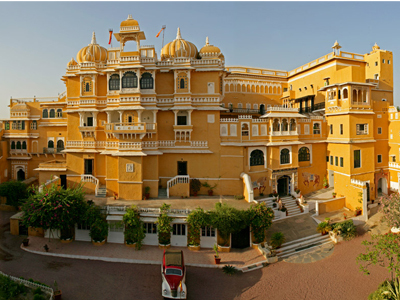 On arrival check into Hotel Alsisar Haveli, the leading heritage hotels in the Pink City. The haveli was refurbished in 1982. Later in the evening, set off to explore the markets of Jaipur. The bazaars in Jaipur display items of handicraft, exquisite gem-studded jewelry, pottery, exquisite fabrics, engraved brass items and pots, and colorful rugs as also miniature paintings and souvenirs. Night stay is scheduled in the haveli. Followed by breakfast, you'll be escorted to sightseeing tour of the city. First, you'll visit the Amber Fort. 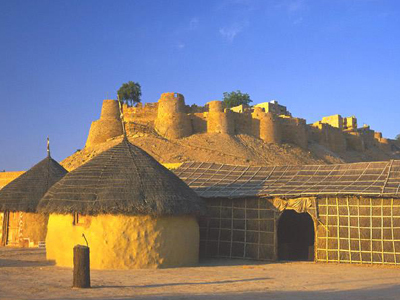 The Fort is perched on a hilltop, 11 km to the north the Pink City. 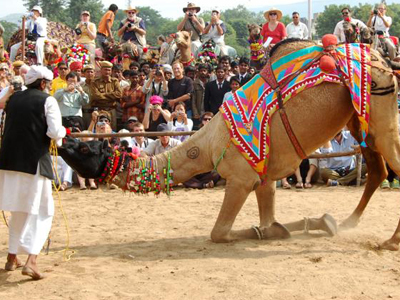 From the base of the fort, enjoy the ride of caparisoned and painted elephant which will take you to the gate of the Fort atop the hill. Take in the panoramic vistas of the city from here. Later you'll visit Hawa Mahal, i.e., the Palace of Winds, a five-story semi-octagonal facade with honeycombed windows used by royal ladies to witness the street processions. The other places you'll visit include the City Palace, an agglomeration of many buildings and structures built by successive rulers and a unique specimen of Rajasthani and Mughal architecture as also the Jantar Mantar, the observatory. Stay overnight at Alsisar Haveli. Next morning, hit the road for Agra. 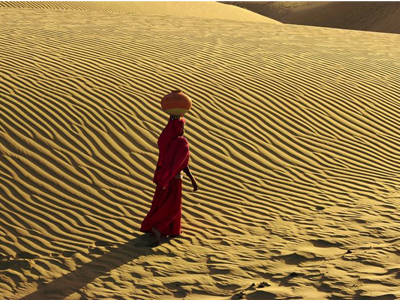 En route you'll visit Fatehpur Sikri, the abandoned Mughal capital, 245 km from Jaipur. 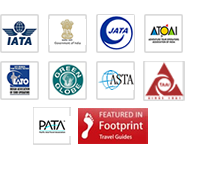 On arrival in Agra, you'll be taken to your hotel. Later in the day, visit the splendid Taj Mahal, one of the Seven Wonders of the World and most frequented tourist attraction in South Asia. Witness this sheer poetry in marble which will remain etched in your happy memories forever. Today, you'll visit Agra Fort visiting its myriad of structures such as Diwan-e-Aam, Diwan-e-Khas, Musamman Burj, and Moti Masjid. The Fort was built by Akbar and a blend of Indo-Islamic architecture. You'll find yourself in the maze of domed and arched courtyards and landscaped gardens. Later you'll head back to Delhi. In the evening, you'll be escorted to an Indian home to witness the lifestyle of Indian family. A sumptuous dinner will conclude this fascinating sojourn. Overnight stay at hotel. In the morning, you'll be transferred to airport for your return journey. Copyrights © Wanderlust. All Rights Reserved.